Who won the most faceoff draws in 2016-17? 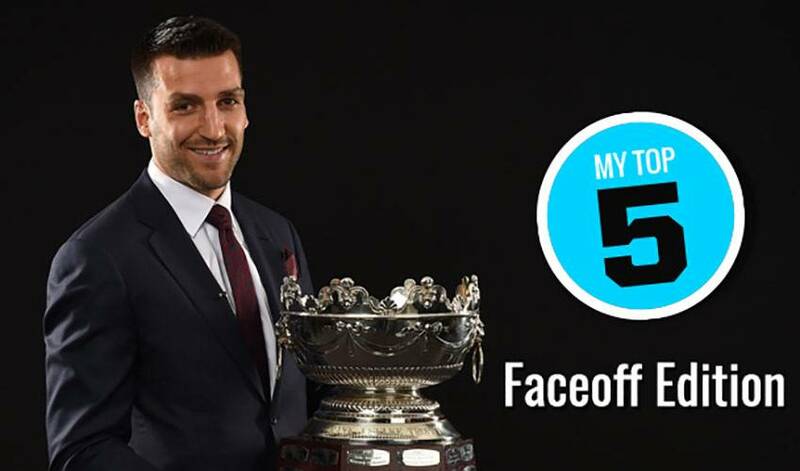 Hint: he skated away with a trophy (for the fourth time) at the NHL Awards this June. That’s the league-leading number of faceoffs Patrice Bergeron won for the Boston Bruins in 2016-17, 50 more than his closest rival. The 32-year-old Quebec native, who showcased a 60.1 win rate, also netted his fourth Frank J. Selke Award as the NHL’s top defensive forward, tying Habs legend Bob Gainey for the most Selke wins. In his second season with the Sabres, O’Reilly was a force in the faceoff circle, racking up 1,039 wins, accompanied by a 58.0 per cent success rate. The 26-year-old also reached the 20-goal plateau for the second straight campaign. The only other player to hit the four-digit mark in faceoff wins, Kesler boasted a 57.4 per cent strike rate in the category. The Michigan native netted 22 goals and recorded 58 points in his third season with the Ducks. The Flyers captain slotted in fourth in most faceoff wins in 2016-17, and netted a 55.9 win percentage in the circle. His 44 assists ranked him tied for 20th in the category. Minnesota’s captain chalked up 938 faceoff victories in 2016-17, to go along with a 55.2 win percentage. The Finnish veteran also contributed 58 points, including 18 goals, in 80 regular season games.